As part of strategic initiatives to enable science in space for life on Earth, the ISS National Lab hosts workshops in the life and physical sciences, remote sensing, and technology to explore research areas with high likelihood for rapid knowledge advancement and the potential to support commercialization of low Earth orbit. These workshops bring together subject matter experts from industry, academia, and government agencies to gather input and guidance on how best to utilize the ISS National Lab to advance R&D for the nation in targeted sectors. Reports produced from these workshops (and from commissioned expert analyses) inform future ISS National Lab R&D partnership opportunities for sponsored research programs as well as approaches for new users to engage in an emergent private spaceflight economy. 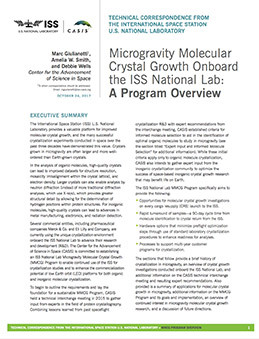 The International Space Station (ISS) U.S. National Laboratory provides a valuable platform for improved molecular crystal growth, and the many successful crystallization experiments conducted in space over the past three decades have demonstrated this value. Crystals grown in microgravity are often larger and more well- ordered than Earth-grown crystals. A space-based program for reliable, repeatable, and repetitive low-cost crystallization in microgravity will enable better structure-based designs for drug discovery while also informing improved strategies for the synthesis, manufacturing and durability of drugs and consumer goods. 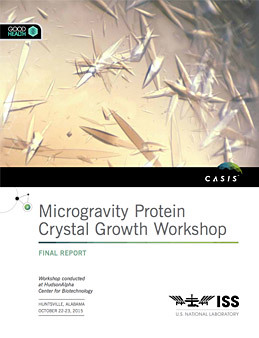 Download the report from the Microgravity Protein Crystal Growth Workshop to view subject matter expert recommendations regarding the basic science requirements for such a long-term protein crystallization program onboard the ISS National Lab. In the U.S. alone, a new person is added to the organ transplant waiting list every 10 minutes, and due to the shortage of donated organs, 22 people die each day waiting for an organ. Regenerative medicine and organ bioengineering have the potential to fully heal damaged tissues and organs, offering hope for the sick and treatments for conditions that today are beyond repair. 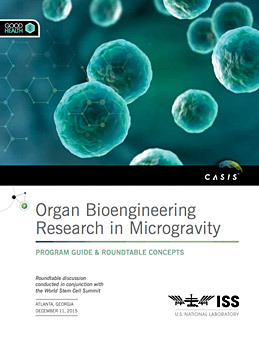 Download the report from the Organ Bioengineering Research in Microgravity workshop to view thought-leader recommendations regarding use of the ISS National Lab for fundamental organ bioengineering research. The ISS provides a unique vantage point for Earth observation and the testing of computer, communication, and sensor systems for remote sensing platforms. 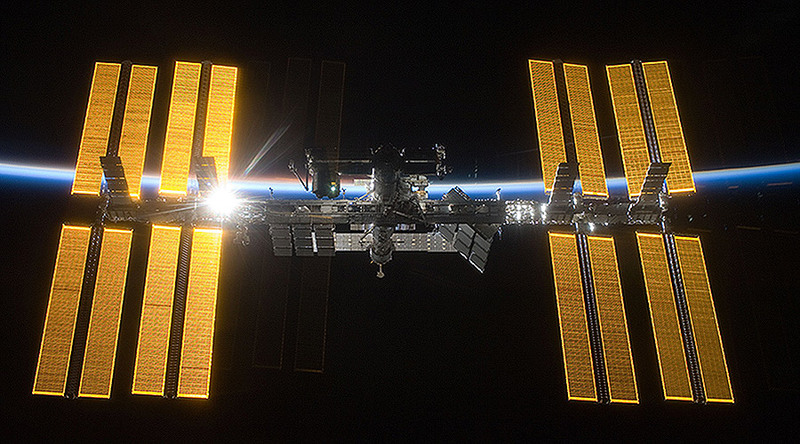 The ISS infrastructure itself provides many advantages as a robust platform for sensor deployment. 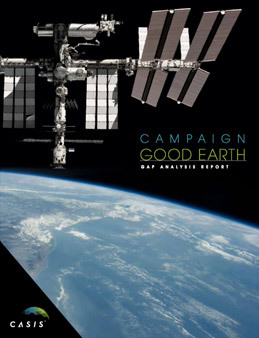 Download the Campaign Good Earth Gap Analysis Report to learn how the ISS National Lab might optimize its use as a platform for remote sensing project implementation and technology development.